1.8 Are lactic acid bacteria effective allergy treatment? 1.12 Could lactic acid bacteria prevent gastric cancer? 2.10 Why is vinegar good for our health? Chapter 3 Japanese Sake Takes Her Rightful Place in the Ranks of International Wine? 3.8 Is Sake the best medicine? 3.10 Is it true that red wine prevents arteriosclerosis? 4.4 How and where do we feel tastes and smells? 4.5 Why do people of every race feel soy sauce delicious? 5.1 Are Genetically Modified (GM) foods safe? 7.2 Can a computer take over the Toji, master of brewer? 8.2 Why is Natto good for the health? 12.4 Why are Japanese brand of rice, Kosi-hikari or Akita-komachi delicious? Chapter 13 Is Japanese Food in Foreign Countries Safe? Yoshikatsu Murooka, is an Emeritus Professor of Osaka University, Japan. Formerly a Visiting Fellow and a Visiting Scientist at the National Institutes of Health, Bethesda, Maryland, a Professor in the Department of Fermentation Technology, Hiroshima University, a Professor in the Biotechnology, Graduate School of Osaka University and an Executive Director in the Education and Research Center of Osaka University, San-Francisco. Dr. murooka received the B.S. degree (1966) in fermentation technology from Hiroshima University and the Ph. D. degree in biotechnology from Osaka University, Japan. We often hear about the merits of Japanese food, but the books which were written about them from the scientific aspects were rarely published. 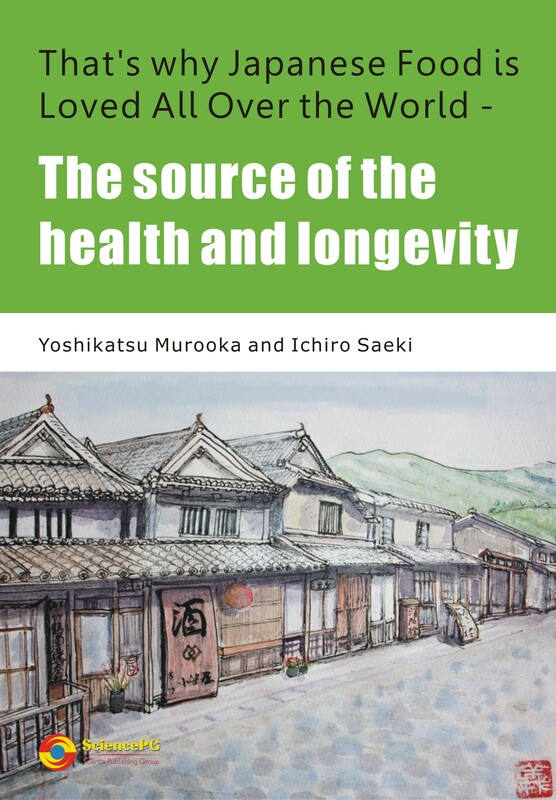 This book introduces the scientific basis of why Japanese food is a source of health and longevity. Readers can know how to produce traditional Japanese foods and also learn the bases of modern life science and biotechnology together with food science. For those who are not familiar with Japan, this book also introduces Japanese culture concerned with typical Japanese foods.